Jeff Davis is one of All Water's most experienced fly fishing guides with over a decade of guiding on Texas Hill Country rivers. He began canoeing, kyaking and fishing the San Marcos, Guadalupe, Medina, Colorado and Llano rivers in the early 1980’s. He has now spent most of his adult life exploring and fishing these waters. Jeff also spent a good part of the last 25 years chasing redfish on the fly. From POC to SPI and all spots in between there's not a flat he hasn't walked or poled. From early December to the first of March Jeff guides clients for rainbow trout on the Guadalupe River below Canyon Lake in Satler, Texas. With warmer weather and longer days he turns his attention to guiding bass fisherman on the Colorado, San Marcos, and Llano rivers. 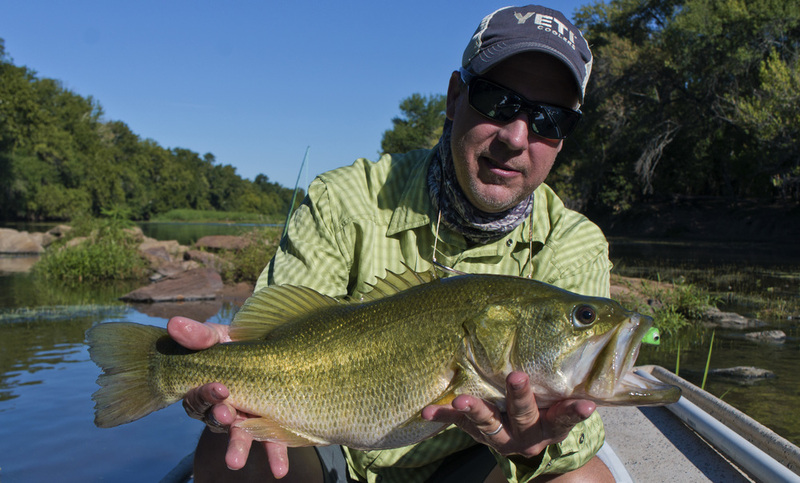 Jeff is endorsed by and proud to represent the following fishing and outdoor companies as a guide ambassador: Orvis, Patagonia, Simms Fishing Products; Mystic Fly Rods; Ross Reels; Outcast Boats; Action Optics Sunglasses — Smith Optics; Rio Fly Line; Cataract Oars; Yeti Coolers; Howler Brothers; and Mountain Khakis.